For the 1st time in Bangalore. 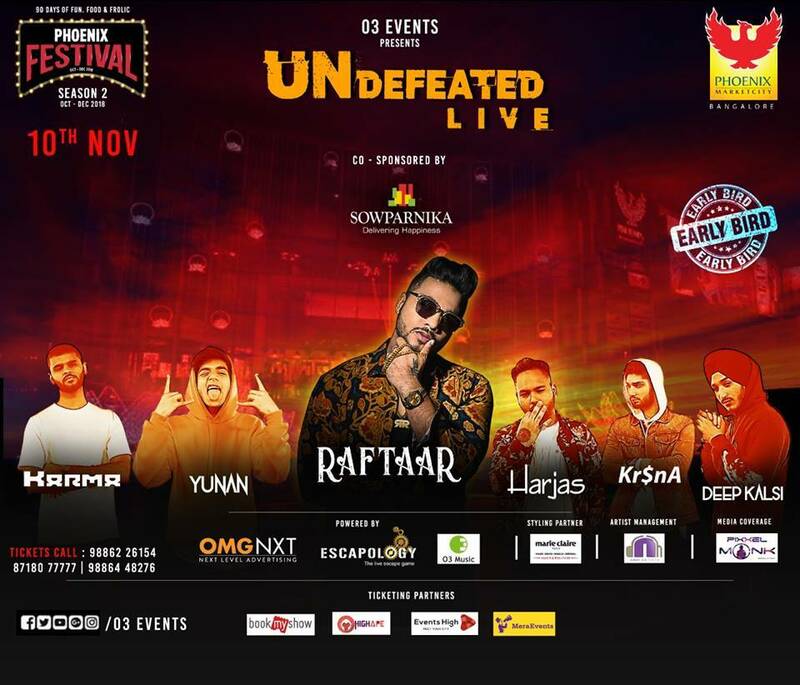 O3 Events in Association with Sowparnika brings you the Biggest Craze and Bollywood Sensation, The Singer-Songwriter, Rapper, Hip-Hop Star Raftaar Live in Concert at Phoenix Marketcity Bangalore at 2nd Season of Phoenix Festival on November 10th, 2018. Audition for the opening act begins Now. Share your video or links on 9535135740. A lot will happen to get ready all the fans of Raftaar.